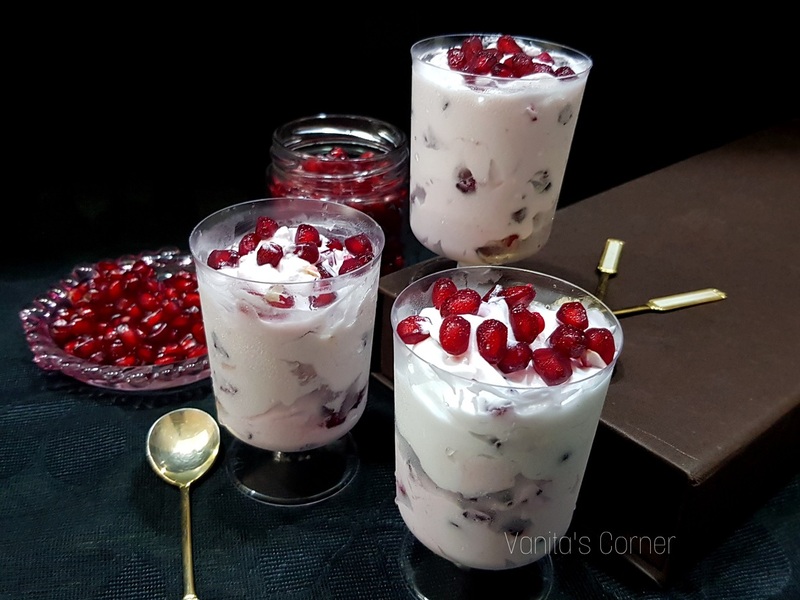 Pomegranate Apple Mousse is an easy dessert to make. With its fruity flavour and elegant looks, this dish surely can be a show stealer at parties. Lets take a look at the recipe. 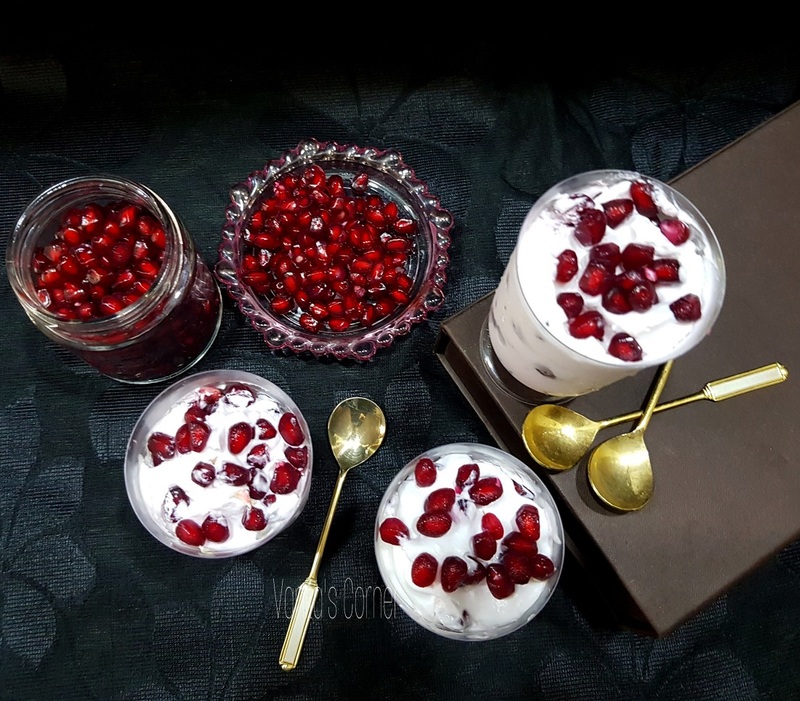 Blend the chopped apple and ¾ cup of pomegranate seeds. Strain and keep the juice aside. In a large mxing bowl, add the whipping cream and blend it (using a hand blender) till soft peaks are formed. To this, add the apple pomegranate juice and mix well. Add in the remaining ¼ cup of pomegranate and mix. Transfer the mixture to serving cups/bowls/glasses. Refrigerate and allow it to set for 2 to 3 hours. You can add a dash of red food colour to give a pinkish tinge to the mousse, though I have avoided using any colour. Due to paucity of time, I could not record the video for this recipe. 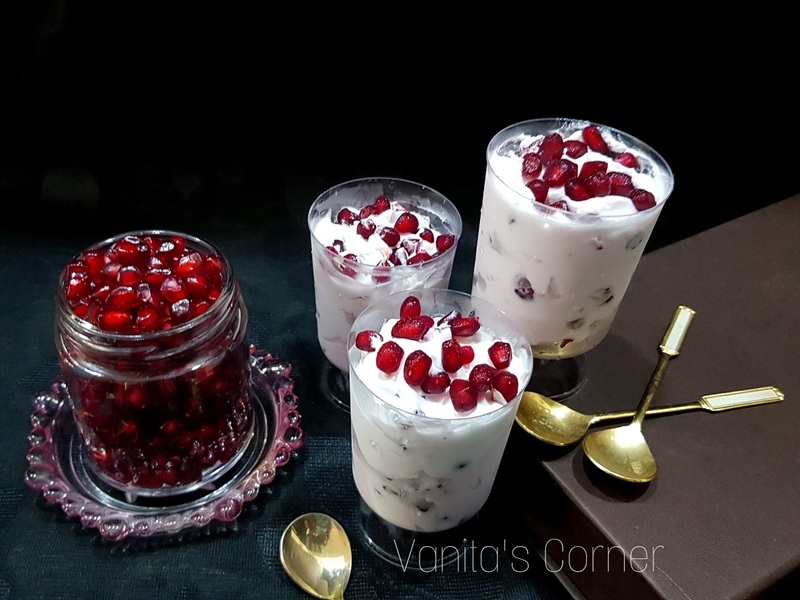 When I make this dessert next time, I will surely update the video in this post.